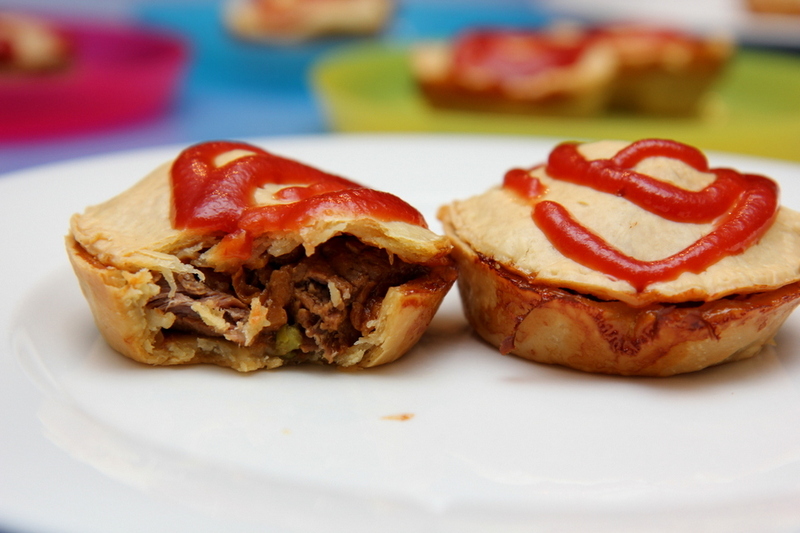 With the AFL Grand Final this weekend, it feels almost compulsory to add a recipe for meat pies. Doesn’t every Aussie watch the footy eating a pie?! The problem for me is that with my mince aversion, there is just no way I could possibly eat a shop bought meat pie that is full of miscellaneous animal parts and gristly bits – ick! 1 tbsp Orgran gravy powder. Short crust pastry of choice. Place the meat into the slow cooker and place on low to heat up while you prepare the veg and sauce. 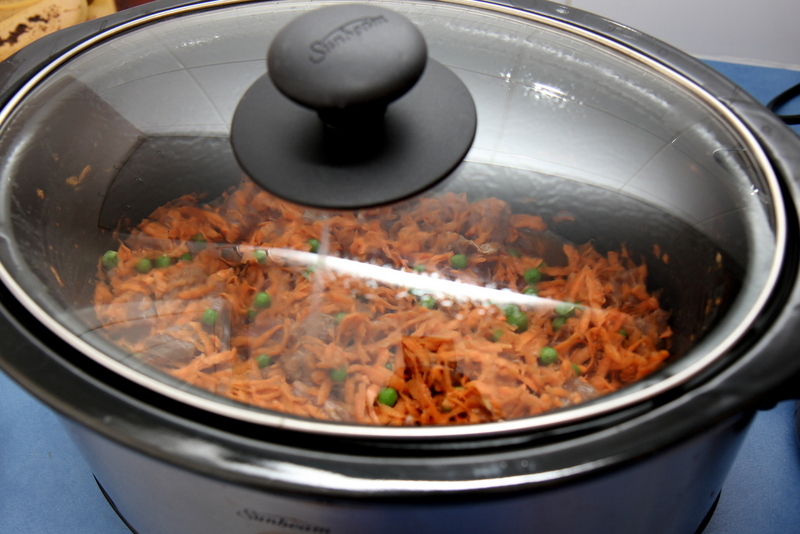 Finely grate the carrots, peel and grate the sweet potato and mix with the peas. Set aside. 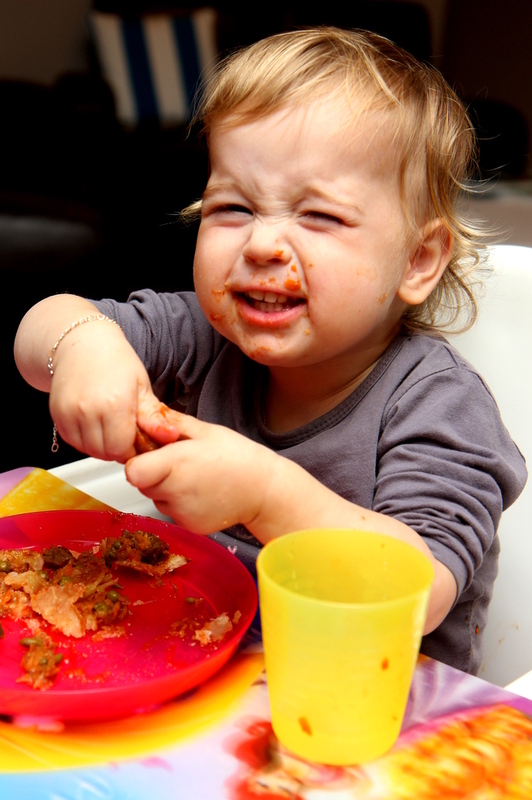 In a large mixing jug, mix together the sauces, garlic, gravy mix and Vegemite. Then add the hot water and mix well until it is all dissolved and well combined. Pour the sauce over the meat and then add the veggies. Mix until well combined. It won’t look very saucy at this stage, but it will get more so as the veggies cook down. Return the lid to the slow cooker and set to high for 4 hours. About 3/4 of an hour before cooking time is up, remove the lid and allow the meat to keep cooking whilst some of the liquid evaporates. If you forget this step, you can always add another bit of gravy powder to thicken the juices a bit. 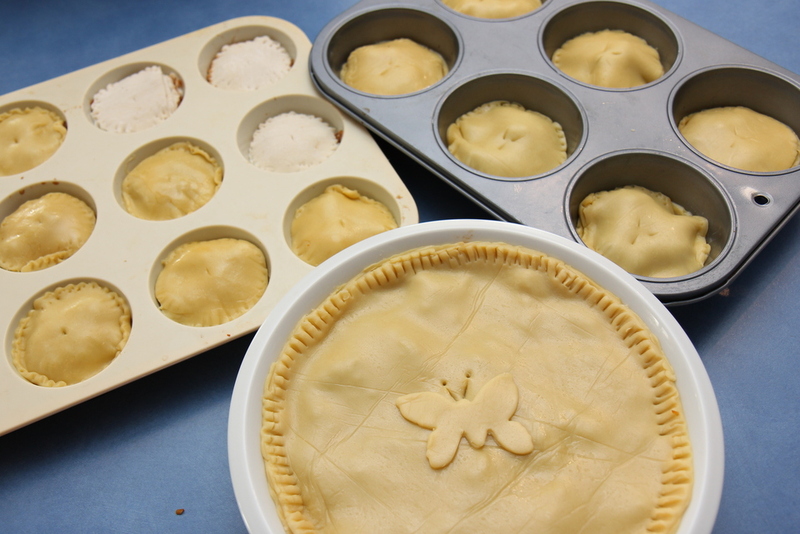 Line either a pie dish or muffin trays with pastry, then fill with meat mix and place a lid of pastry on the top. Use a fork to press down the edges and join the top to the base, brush with milk of choice and cut small vent holes. 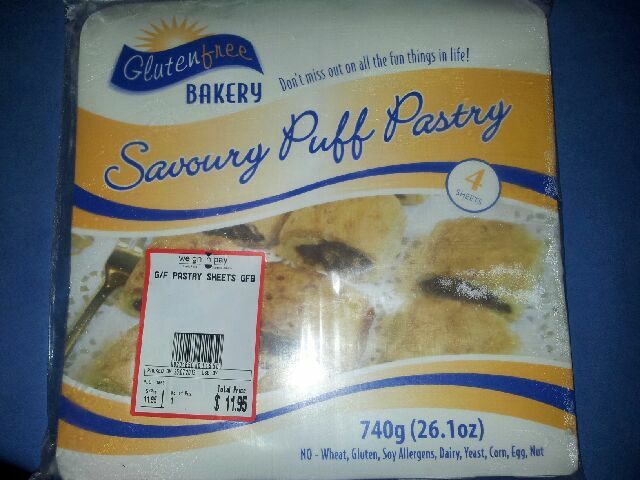 For those who are Gluten Free, I used this pastry. I used a puff pastry because I knew from past experience that it didn’t puff hugely and I didn’t want them to be too stodgy. You could also use a puff pastry top if you wanted a lighter finish for your pies. Cook in a preheated oven at about 200C for 35-40 mins or until the pastry is golden brown and crunchy. The meal can be frozen once the pastry is on, but before you cook in the oven. Defrost well before cooking and cook as normal for the final step. This made a quite a large amount, enough for dinner for 6 adults. A very happy first time pie eater!